GoldHouse Business Solution Limited was established in 2015 as a specialist Agency company. 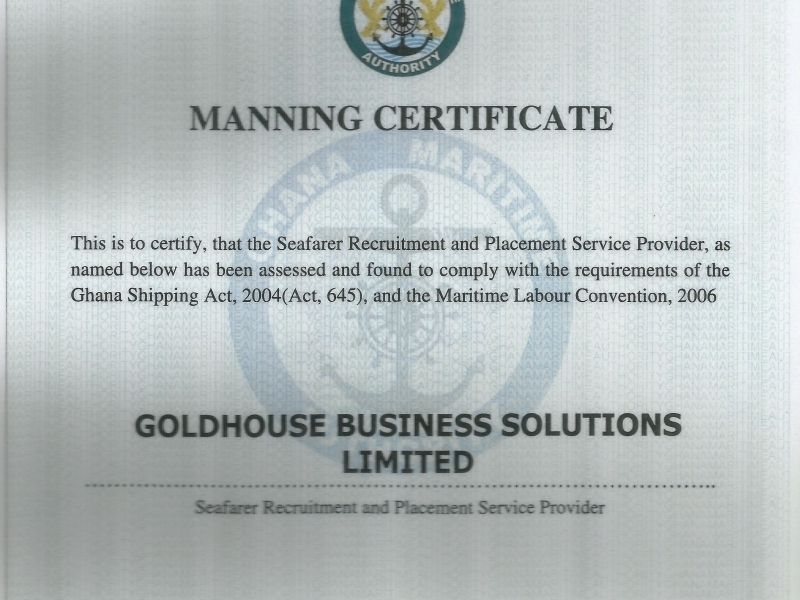 From the very humble beginnings, GoldHouse Business Solution Limited is among the top Five (5) Agency Offices in Tema Region and has been a member of Ghana Maritime Authority with License No. 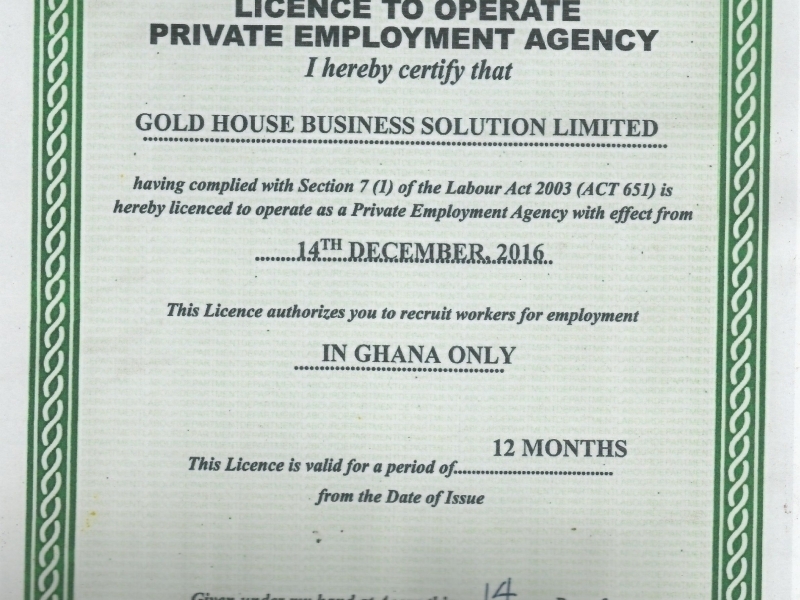 0047 and a member of Ghana Labour Department to Operate Private employment Agency with Certificate No. KN501, Lab PEA/273. Over the years GoldHouse Business Solution Limited has established a reputable for Commitment to Quality Services. We have 250 Seafarers now. We provide and deliver Quality Services.